Honor has been working on its mid-range smartphone business for quite a while now where we have seen many smartphones popping up at regular intervals by the brand. Honor 8X is not an exception. With 6.5-inch display with 2340 x 1080 pixels resolution, an octa-core HiSilicon Kirin 710 SoC, a dual rear AI centered camera, and huge 3750mAh battery, this device is not peaking any aspect or niche but is blend of all the goods placed together. Is it one of the device in the mid-range market which can be considered? Is it too good or bad a phone to break or make a deal? Let’s check it out in the Honor 8X review below and you can easily buy this phone using Flipkart Offers Today. When it comes to design, Honor 8X nails it- impressive, solid and subtle. The back is glass with glossy dual-tone design and Honor calls it “visual grating effect”. Yes, you will get smudges and fingerprints on the back but who cares. On the back, there is a dual vertical camera setup, a fingerprint sensor which is easy to reach, and Honor branding. On the right, you get to see large power and volume buttons while on the left, there is only space for the SIM Tray. On the bottom, you get a Micro-USB port, a 3.5mm headphone jack, the loudspeaker, and the primary microphone. The only bad thing about the design is that the company has not integrated USB-C port in it. 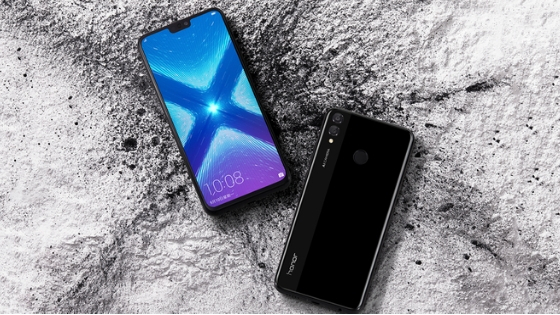 Coming to the display, the Honor 8X packs a 16.51 centimeters (6.5-inch) display with 2340 x 1080 pixels resolution. Also, the device gets an impressive 91 percent screen-to-body ratio which makes the display looks way bigger and bezel minimal. The display brings out color with utter brightness and vividness. Under the hood, the Honor 8X has an octa-core HiSilicon Kirin 710 SoC which is coupled with two RAM variants: 4GB and 6GB. The device comes in three internal storage including 4GB RAM + 64GB storage, 6GB RAM + 64GB storage, and 6GB RAM + 128GB storage. Moreover, the internal storage can be further expanded up to 400GB using a microSD card. The device uses a 12nm processor with four Cortex-A73 cores clocked at 2.2GHz and four Cortex-A53 cores clocked at 1.7GHz. You will not get any problems in multitasking or any other day-to-day tasking stuff. The app runs fine and loads fast. You will not notice any lags or stutters even with dozen of apps in the device. When it comes to gaming, this device features the GPU Turbo technology which is a gaming-focused optimization which can improve performance up to 60 percent and 30 percent better battery life while playing games. Games like PUBG and Asphalt 9 run smoothly at medium frames with minimal heating and not much of a battery drop. The fingerprint sensor works very fine and unlocks the device swiftly- as soon as you place the finger on the sensor. Also, this device has a face unlocking feature which is as good as the fingerprint sensor. Coming to the cameras, the device has a dual vertical rear camera setup including 20MP primary lens and a 2MP secondary one. For selfies, there is a 16MP front shooter. The camera modes include Aperture, Night, Portrait, Photo, and Video. Other modes include Pro, Slow-motion, Panorama, AR Lens, HDR, and Time-lapse. The cameras are just averagely good. You get some shots with good detailing but there is nothing great about the cameras which will make you buy this device if you are looking at it is as a camera-centric device. Interms of camera quality there are multiple options available and you can buy them using AliExpress Coupon Codes. The Honor 8X houses a huge 3750mAH lithium-polymer battery which will give 15 to 16 hours of battery. It can easily give you one typical office usage. And, in 1080p HD loop test, the phone touched the mark of 14 hours and 45 minutes. The device can charge fully- from 0 to 100 percent in around 2 hours with a 10W charger. The Honor 8X runs Android v8.1 out of the box coupled with EMUI8.2 Oreo operating system. The connectivity options and sensors include dual-band Wi-Fi 802.11ac, Bluetooth 4.2 LE, FM radio, GPS/A-GPS, GLONASS, BeiDou, ambient light sensor, electronic compass, gravity sensor, gyroscope, proximity sensor, and fingerprint sensor. In the box, you get a Charger, USB Cable, Warranty Card, Quick Start Guide, Eject tool, Protective Case. The Honor 8X comes in three color variants: a classic black, a trademark blue, and a bold red. The Honor 8X offers good value for the money a user has to put in. Honor has been trying really hard to get a comfortable spot in the mid-range market now. And, it seems they are quite successful in doing so now. With Premium design, good performance and moderate battery life, anyone can cash in money for the device. But, if you are looking for top-notch cameras, sorry to say, but this device only has mediocre ones. Also, the device lacks fast charging which will disappoint some of the users. Overall, this device is a nice package which can be considered. But if you want more, you can go for newer Honor 10 Lite, Realme 3 or Xiaomi Redmi Note 7. Samsung Galaxy S9: What makes it best?